Could we see Blade Back on the Big Screen? The character of Blade has been making the rounds in the news recently. The comic relaunch is on its way as part of Marvel’s All-New, All-Different initiative and rumors are swirling about the character (or his daughter) joining up with the Marvel Studios / Netflix universe. But a little rumor regarding the character’s future on the big screen have recently surfaced. 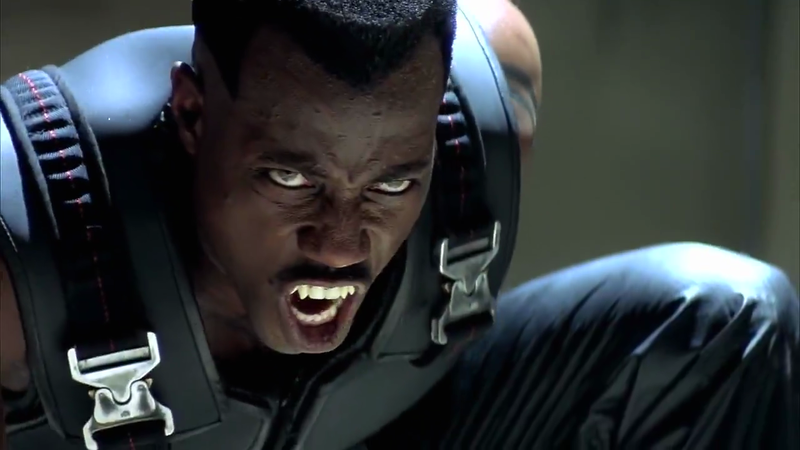 Actor Wesley Snipes was recently interviewed by The Huffington Post and talk turned to the vampire hunter being put in rotation in the Marvel Cinematic Universe. Snipes has always been optimistic about the character making a return. He originally saw playing Blade a launching pad to the character he really wanted to play – Black Panther. But Wesley Snipes’ time has come and gone for that and Marvel Studios went with Chadwick Boseman for the role of the regal superhero. Maybe he feels like Blade is his last (and only) chance to be a part of one of the biggest things going in Hollywood and pop culture today. But without confirmation from Marvel, we’ll just file this under Wesley’s Wishful Thinking for now. This entry was posted in Breaking News, Film, Marvel and tagged Blade, Marvel, MCU, wesley snipes. Bookmark the permalink.